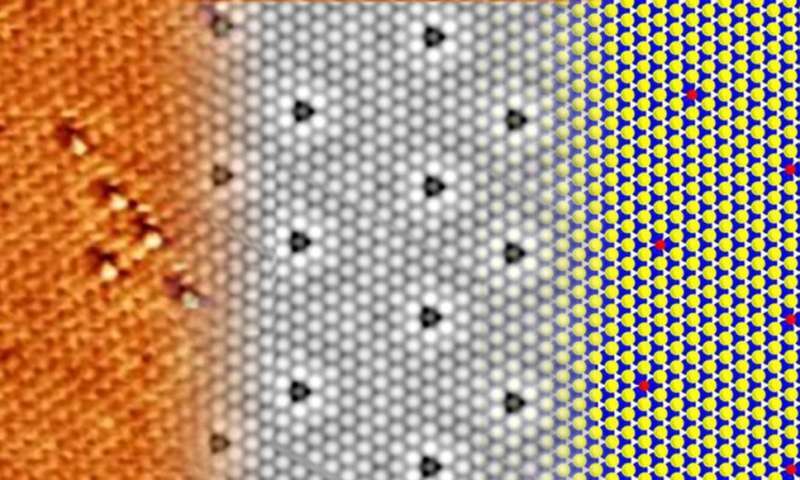 Molybdenum disulfide (MoS2) is considered promising for a variety of microelectronic devices such as high-frequency detectors, rectifiers and transistors, so research teams around the world are actively studying its two-dimensional format, MoS2 nanofilm. However, the new study demonstrates that when this two-dimensional material is significantly oxidized in air, it turns into another connection. "For the first time ever, we have managed to experimentally prove that a single-layer molybdenum disulfide strongly degrades under environmental conditions, oxidizing and turning into a solid solution MoS2-xOx,. The functions of a two-dimensional semiconductor without defects and losses can be implemented with molybdenum diselenides, another material with a similar structure," said Pavel Sorokin, head of the research team and leading researcher at the NUST MISIS Laboratory of Inorganic Nanomaterials. "Thanks to the use of tunneling microscopy, we were able to track the structural changes of crystals of two-dimensional sulfur disulfide at the atomic level during long-term exposure to environmental conditions. We have discovered that the material previously considered stable is actually subject to spontaneous oxidation, but at the same time, the original crystal structure of MoS2 monolayers retains formations of MoS2-xOx solid solutions. Our simulations have allowed us to propose a mechanism of forming such solid solutions, and the results of the theoretical calculations are in complete agreement with our experimental measurements," said Zakhar Popov, one of the co-authors of the study and a senior researcher at the NUST MISIS Laboratory of Inorganic Nanomaterials. "The study's second key discovery is the new material that the monolayer of the molybdenum disulfide turns into is a two-dimensional crystal of a solid solution MoS2-xOx, which is an effective catalyst for electromechanical processes," concluded Sorokin.